Hey snow lovers! 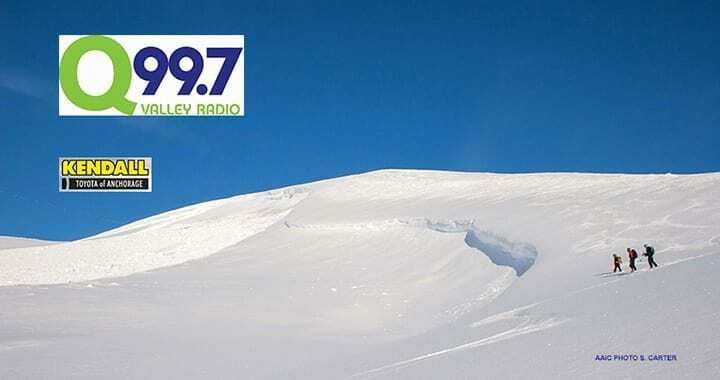 The Alaska Avalanche Information Center here with your weekly winter fun report thanks to Kendall Toyota and Q99.7. Early spring has the mountains shedding. This weekend it looks like our long stretch of sun is about to give way to a mix of rain and snow. Forecasters are predicting cooler night time temperatures, especially in the mountains, which should help firm things up in the morning. But be aware, afternoon temperatures in the mid 40’s will increase the likelihood of avalanches. Several large wet-slab avalanches and close calls involving riders and skiers were reported in the past week. Keep alert and go prepared. Give wide respect to cornices, gullies and other terrain traps. Trails are groomed and conditions reported to be good for skiing and riding around Hatcher Pass, Eureka and the Petersville area. Watch for overflow and thin ice near water crossings. Where every you go, carry safety and survival equipment in case you get stuck out overnight. Remember things like extra clothes, a space blanket and flint and steel can make a huge difference in survival. You’ll find a host of free backcountry safety workshops as well as current avalanche conditions at the Alaska Avalanche Information kiosk in Thompson Pass thanks to support from ABC Motorhomes, Kendall Toyota and the City of Valdez. Get all the details and help save a life by sharing your observations at Alaska-Snow-dot-org. That’s it for this week. Stay safe and watch out for your friends so you can all live to ride another day!